Masters of horror Wes Craven and Sean Cunningham revisit their trademark film that launched Craven's directing career and influenced decades of horror films to follow. After she arrives at her parent's remote lake house, Mari and her friend are kidnapped by a prison escapee and his crew. Terrified, brutally assaulted and left for dead, Mari's only hope is to make it back to her parents. Unfortunately, her attackers unknowingly seek shelter at the same place. 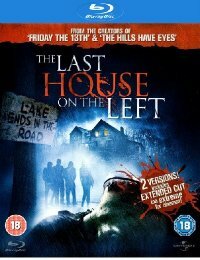 When her family learn the horrifying truth, they make the strangers curse the day they came to The Last House on the Left.